Have you ever decided not to purchase something, because you did not know if you could afford it in the long run? With an advance Home budgeting format, awkward moments like these can be avoided. You will know how your personal finances stand at any given moment. What is the home budget template? 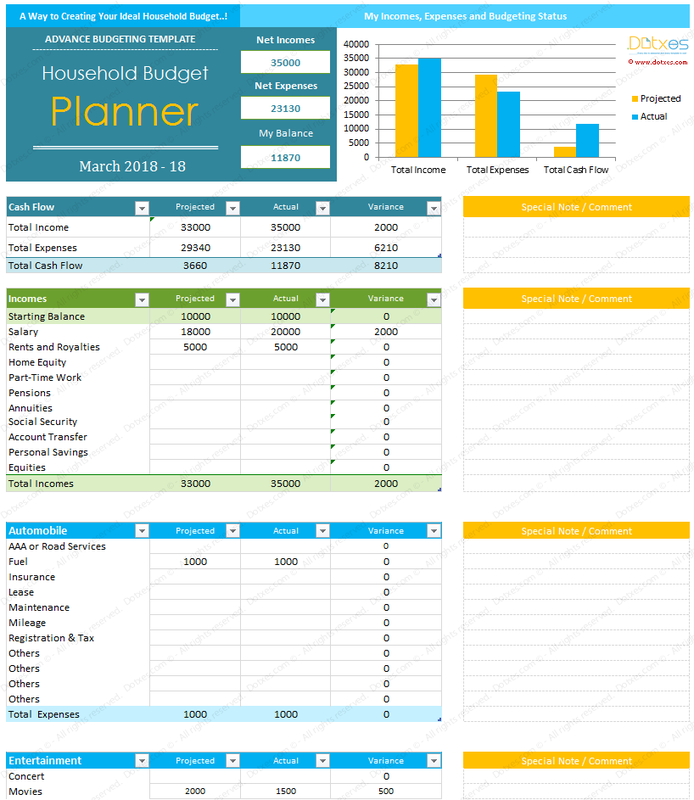 The advance home budget template is an Excel ® file that accounts for all your household expenses such as car related expenses, entertainment expenses, food expenses, family expenses, health expenses, house expenses, personal expenses, traveling expenses, education expenses, loan expenses, etc. The advance household budget has a slot for all major bills and living expenses. The budget template is simple and easy. You can add expenses if you need to do so. For each expense, you can project the possible amount you will spend on it. 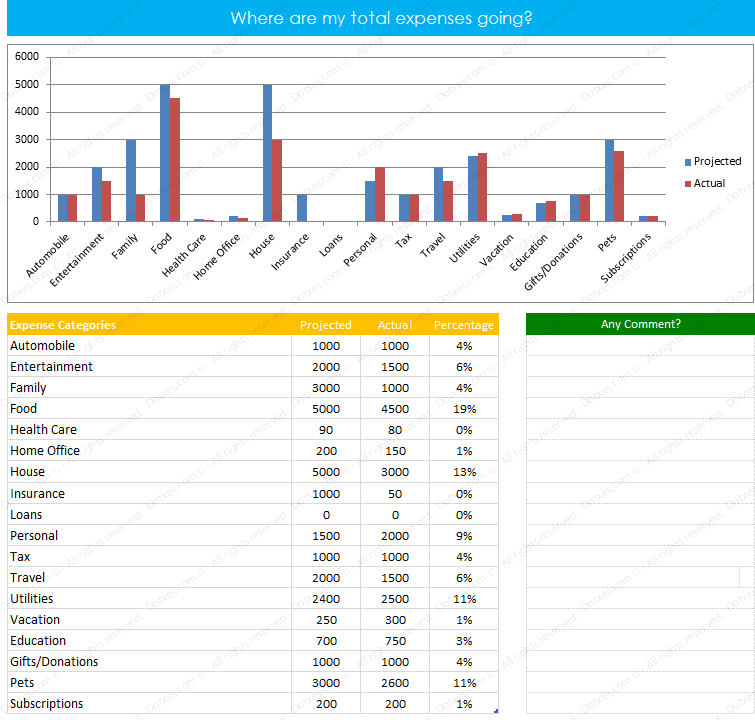 Once the expense is paid, you can add the actual expense and any variance between the numbers. The template comes with a chart to help you keep track of your current cash flow. Thus, you will never have to guess whether or not you can afford to purchase something. What are budget spending report sheets? 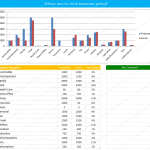 Budget spending report sheets help you analyze where your money is going. What percentage of your income is going to car expenses? How much are you spending each month on entertainment? Should the money you spend on entertainment be used to help pay for other expenses? The budget spending report sheets provide you with information to make sound financial decisions. 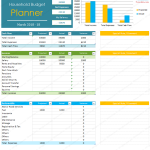 The template is created in Microsoft Excel ® and can be used virtually anywhere on any device that uses Windows. New to this so I hope it is as easy to use.